 If you’re looking for pain relief from a chronic problem or acute injury, PRP in Philadelphia provides natural solutions to pain with platelet-rich plasma (PRP). Stuart A. Kauffman, DO, is a primary care provider and PRP specialist in Huntingdon Valley, Pennsylvania, with more than 20 years of experience. He uses your own platelets to help repair injured areas and relieve your pain. To learn more, call the office or schedule a consultation online today. How does PRP help with pain? Pain is the result of an injury or damage to tissues in the body. When tissues are injured, your nerves signal your brain to feel pain and send inflammatory chemicals to repair the damage. Often, this normal inflammatory response causes swelling in the area that can further damage the tissues and cause more pain. Platelet-rich plasma helps to reduce pain by speeding up the tissue healing process. In turn, this can reduce inflammation and swelling to improve your recovery time and help you get back to your normal activities more quickly. PRP speeds up the healing process by introducing nutrient-dense plasma cells into the damaged area. These plasma cells provide the necessary healing factors to repair injured tissues. Your blood normally contains plasma for this purpose, but a PRP injection can speed up the recovery process further. What types of conditions can PRP help? To determine if you’re a candidate for PRP treatment, Dr. Kauffman performs a consultation and physical exam. He asks about the history of your injury or condition and previous treatments or strategies you’ve tried to reduce the pain. Your physical exam includes general health screenings and orthopedic exams to determine if the procedure is a good fit for your needs. A PRP treatment generally takes one to two hours and is a three-step process. Dr. Kauffman first takes a sample of your blood from your arm using a syringe. He then processes your blood sample in a centrifuge to separate the red blood cells from the platelets. Dr. Kauffman takes the platelets and combines them with a thickening solution to create a gel-like serum. He then injects this plasma gel into the treatment site, using ultrasound technology to guide the injection to the correct location. The injection takes less than 10 minutes and feels like a small pinch. Afterward, you can return to your normal daily routine. Mild redness or tenderness at the injection site is normal for two to three days. The plasma then helps your tissues heal over the following weeks and months. Additional treatments may be needed for best results. To find out if platelet-rich plasma can help provide you with pain relief, call PRP in Philadelphia or schedule a consultation online today.